Philadelphia-based Rubenstein Partners LP has acquired 2600 Tower Oaks Blvd. in Rockville for about $22.7 million from Boston Properties (NYSE: BXP). 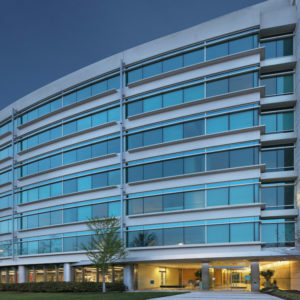 The eight-story, 179,421 square-foot Class-A office building expands Rubenstein’s Rockville footprint, complementing its $38 million acquisition of the 227,000 square-foot Research Plaza office complex in August. The building, constructed in 2001, is currently 48 percent leased. The sale closed Jan. 24. While Rubenstein considers the building to be a well-located asset along the Interstate 270 corridor, the company does plan to update its amenities, with the addition of a tenant lounge, café and fitness facility and upgrades of common areas. The building “has great bones but needs to be modernized with all of the features tenants seek in a state-of-the-art office building and surrounding vibrant environment,” Tyler Kinn, a Rubenstein acquisition and asset management analyst, said in a release.